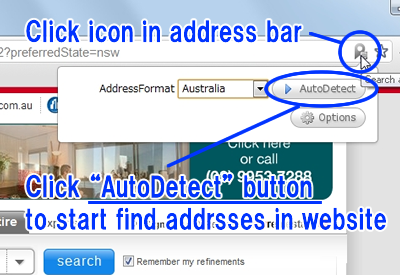 Auto-detect addresses on webpage, list them, and add icons on the addresses. 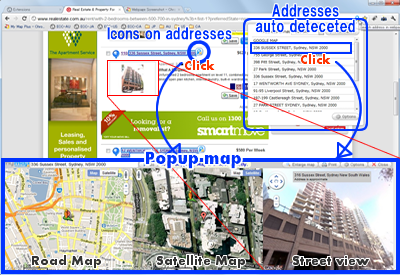 Click that icon to get map. 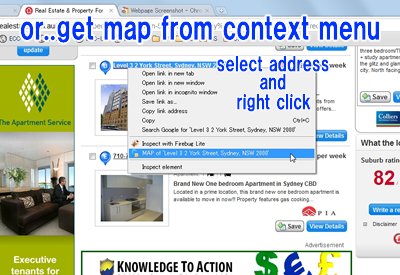 When looking for a house, MyMapMemos can show a map of address quickly. 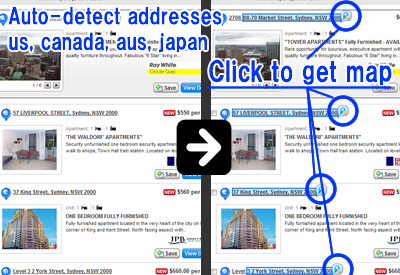 Now 4 countries (US, Canaca, Australia, Japan) address formats are supported.